Editorial: Similar centre is planning to establish in Abovyan city too. Armenia lags behind from the developed countries in the sphere of information and telecommunication technologies. However, there is a similar or maybe more difficult problem between Yerevan and the regions of Armenia. If in the capital ‘cyber cafes’ is the everyday occurrence, then especially in the remote regions the situation with respect to the making use of the services of the public accessibility with international outlet, is another. The studied, conducted in the regions, have showed that people do not use the internet because of inaccessibility, in the first place. The investments of private capital, for the purpose of providing the latter in this sphere, first of all, mostly, are not promoted by the relative expenditures, the fears regarding the purchasing back and profitability of those, the mountainous relief of the republic, the present unsatisfactory communication, with the qualitative and volumetrically meaning, the factual insufficiency of proper qualified personnel, in the concrete places, the absence of elementary knowledge of population. 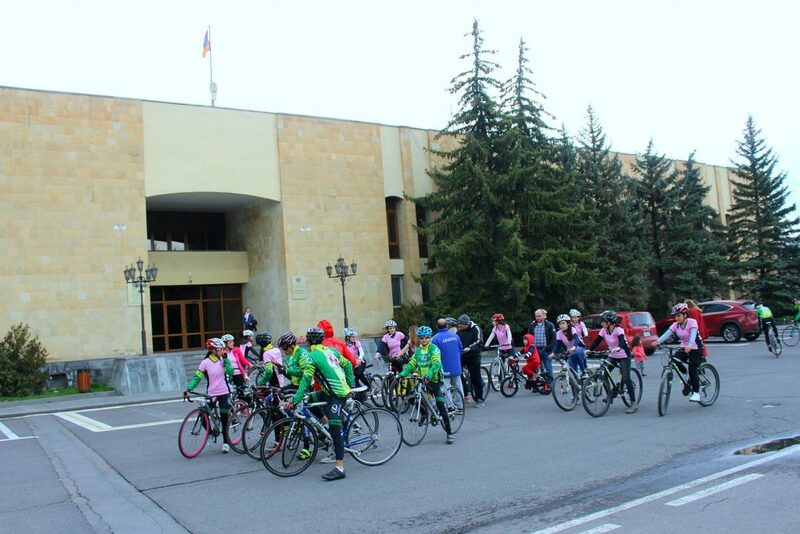 According to these problems, the Ministry of Transport and Communication of the Republic of Armenia has developed a complex project, in the regions – the Creation of Educational Centers of Public Accessibility with International Outlet. The meaning of this project is, in the regions (at first in the centers of regions, later in the other residencies too), the creation of such centers, where proper personnel will be prepared, while inhabitants can get at least elementary knowledge with respect to the making use of services, with the international outlet, for transferring data, and also the opportunity for usage the latter. At the first stage the education and usage of services are free. Later they will be paid. The realization of this project can provide for establishment of new job openings in the places, the preparing of local personnel just in the places. In the places an opportunity will be created for using information, present in the World Wide Web, and for establishing the private information too. Also for the population and for local producers it will be easy and more available for communication with the world and among this- inside of the republic, the using of electronic mail’. It can also promote the efficiency and productivity increase of organizing the work of state and territorial government, local authorities. Only after teaching people, it’s possible to calculate the real demand and develop and fulfill a more complex project accordingly. Hence, the first steps make possible to realize due to the assistance of the Canadian Government. 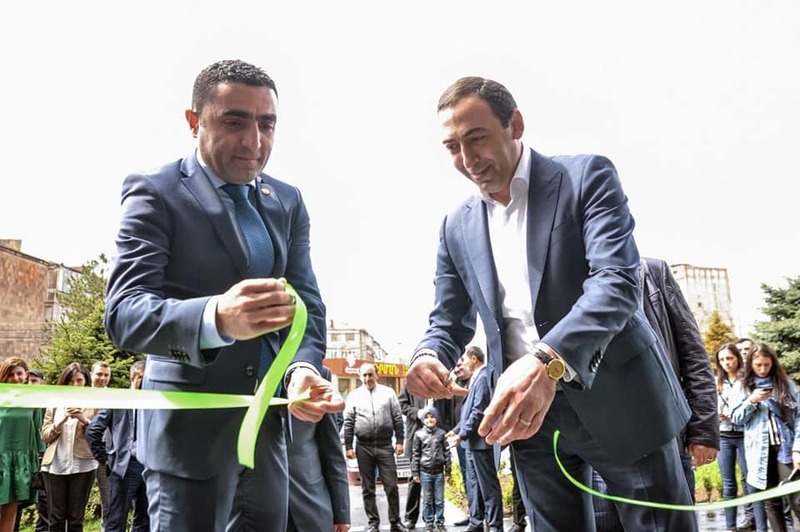 By the dint of the Central Asian office of the Canadian International Development Agency (CIDA), three centers in the cities have been created and successfully started up this year: Gavar, Martuni, in the Gegarqunik Region of the RA and Armavir, in the Armavir Region. Now they are already working almost in all their power. The implementation of the project has been coordinated by the Ministry of Transport and Communication with the assistance of Regions. The first results are promising. First of all, it speaks in favor of itself the present of people queues, who want to study and use the technologies. People, the unemployed, studying and obtaining proper knowledge, get the opportunity for job hunting. The likewise situation is already present. People, who already have got jobs, stick to their workplaces. It creates a definite cadre bank for local producers and for other employers. Moreover, the ages of about 1300 educators who have already finished the course are between 10 and 53, the 64 percent of which are ladies and girls. The chief of the Central Asian office of the Canadian International Development Agency (CIDA) was in Armenia last week for doing inspection in the centers. She visited the three centers. 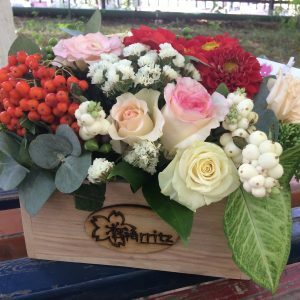 In Armavir the visiting coincided with the next group graduation diploma awarding. Being in our country for the first time -not concealing her satisfaction with respect to the quality and volume of the fulfilled work, she emphasized, that with this visit she substantially changed her mind about Armenia and Armenian people, in addition she added that in Armenia there is a favorable environment for profitable investments in this sphere. In all three centers the satisfaction of people for fulfilled works is obvious. And it is also important that businessmen in the places started to do investments and enlarge the volume of services themselves. So the project solved the main problem. i.e. : the promotion of the local investments. Now the organizational activities are being continuing with CIDA, as well as with the other international organizations, for the purpose of continuing the implementation of this project. The present experience and the first successful technical solutions have made a base for achieving the maximal results with the comparatively minimal means.